Recently the Mississippi baby, had cast doubts on potential long-term cure for HIV (Link). The findings has impacted HIV research. Retrovirology research, there still is a long path to be covered. There seems to be more negative news on the ground. Several new approaches are currently evaluated, for potential therapeutic effect (Link). One among the approach, that was considered as potential intervention is the use of HDAC (histone deacetylase) inhibitors (HDACi, such as Vorinostat or SAHA (suberanilohydroxamic acid); Link). Other HDACi under current investigation include Romidepsin, Panobinostat, Givinostat, Belinostat etc. Romidepsin (Also known as FK228, FR 901228, NSC 630176, and Istodax) is , a bicyclic synthesized by a Gram negative bacterium Chromobacterium violaceum. It was reported as a chemical with very low antibacterial activity, but was anti-cancerous drug. It is known to interact with multiple genes involved in neoplasm and can induce apoptosis in target cells. Currently, chemical is owned by Celgene. LBH-589 or Panobinostat is an experimental drug, developed by Novartis. Chemically it is It is a hydroxamic acid. Other similar drugs include Givinostata and Belinostat. Panobinostat has been recently submitted to FDA for approval, for treating Multiple Myeloma. As per some studies, Pnobinostat represents an excellent pan-HDACi with superior results against HIV. HDACi is a very broad term in context with cell. There are 18 different types of HDAC under 4 families and the action of inhibitors determined by the type of drug and dose. Moreover, HDACi interacts with other key genes such as NF-kB, p53, STAT3 etc. The issue of non specificity is reflected in a possible side effect. In the recently published PLoS paper by Walker etal, it was shown that romidepsin was toxic and induced death in CTL (Cytotoxic T Lytmphocytes). Toxicity studies have been studied earlier by Tolstrup etal. See Fig 2. This paper shows similar findings. Of concern, All three drugs also rapidly suppressed IFN-gamma. The net effect is there is an impaired ability of CTL to kill HIV-infected immune cells. The very purpose of using HDACi is thus brought under scrutiny. The findings has put forward a very important question. What will be the Long-term effect of using HDACi as a anti retroviral strategy. It is too early to put forward an answer. For example, Vorinostat has been tried on patients with good results. It is important to note that in the study, the patient is given Anti retroviral therapy (ART) plus HDACi, in which case, impaired CTL is compensated by the drug. The best answer is a clinical trial. Panobinostat is currently in a phase I/II clinical trial. The trial involved 15 patients receiving oral panobinostat 20 mg 3 times/week every other week for 8 weeks while maintaining combination antiretroviral therapy (cART). The finding was eight weeks of cyclic therapy with panobinostat was safe and well tolerated. These trials are done to assess the safety of the drug. Considering the findings, the next level of trial should answer the effectiveness of such treatment module and its long term effects. 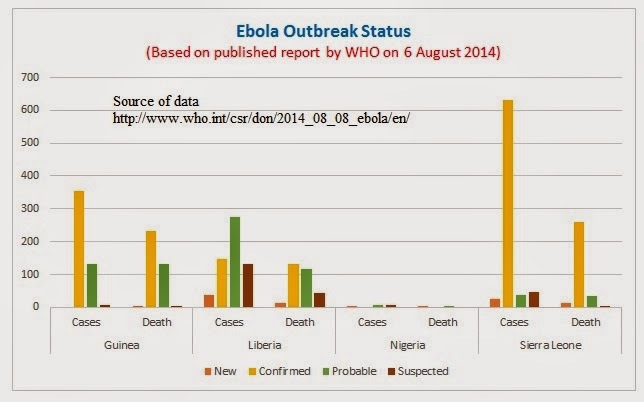 Fig 1: Status of Ebola outbreak as on 6 Aug 2014. A lot of international focus is currently on "Ebola outbreak". The concern is genuine and it is absolutely right on the part of major health players to be concerned. As a matter of fact, there never has been such a large Ebola Outbreak. Read my previous post on Ebola outbreak here. As per the WHO estimates dated 6 August 2014, the cumulative number of cases in the four countries stands at 1 779, including 961 deaths. The details are published in WHO website (Link). I have prepared a graph (Fig 1) based on the data which summarises the situation. As I have mentioned earlier, there is no licensed vaccine or drug available against Ebola. This is where the question of basic research comes in. In a time when the only kind of research encouraged is the term "Translational", the lack of basic biology understanding of Ebola has put up a stagnation. My point is by doing basic science we would have been much more prepared to develop therapeutics. So is there no hope? 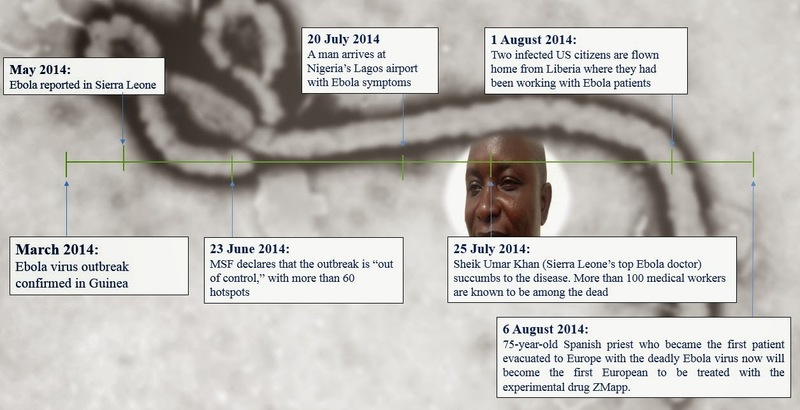 Fig 2: Ebola outbreak Timeline of important events. The passive immunisation approach has been dubbed by some as the secret serum and its use is currently debated. Use of passive protection is a old trick. It is known that, not all patients die of Ebola infection and the people who survive are immune from further infection, since they develop blocking antibodies. Serum from such patients can be administered to others and used as passive immunization. Currently a monoclonal antibody approach is seen as the most potential candidate. A a mixture of three monoclonal antibodies (called ZMapp) which had been previously shown to block infection of cells with Ebolaviruses, and prevent lethal infection of non-human primates when given within 24-48 hours after infection. ZMapp, is a mixture of three humanized monoclonal antibodies for immunological protection against Ebola. The mixture consists of humanised antibodies- c13C6, h-13F6, and c6D8. Original study was published in PNAS (2012) by Olinger etal. The trio mAb was called as the MB-003. This is produced in a tobacco plant Nicotiana benthamiana. The product now produced by Mapp Biopharmaceutical has not yet been clinically tested. At least a phase 1 is required to evaluate the potential outcomes of the drug. However, there is an ethical issue of with holding the potential drug during an outbreak when there is no other option. Considering that there is a urgent need many scientists have called for the drug to be released and it has been seen as an opportunity to test the drug. Vaccine development has been tried in EBOV infections. The Ebola glycoprotein has been loaded into a variety of carrier particles such as Attenuated Rabies virus, Adenovrius or Virus like particles have been studied. The best results are probably represented by a replication competent VSV (Vesicular stomatitis virus) carrying Ebola Glycoprotein. E coli expressing Ebola has been reported and may also be used as a immunogen. It is to be noted that these are experimental vaccines and none of them have been clinically tested. Hence the performance is not well known. Vaccines are more useful to control an outbreak and as a pre exposure prophylaxis. Drugs which can attack the virus directly may be of great field benefit. Experimental drug that has gained international focus is the TKM-Ebola and AVI-6002, BCX4430, Favipiravir etc. AVI 6002 or Sarepta’s drug (Combination of AVI-7357 and AVI-7539) is anti sense RNA PMO (phosphorodiamidate morpholino oligomers), that targets VP24. TKM Ebola or Tekmira's drug is a lipid nanoparticle with siRNA, currently under phase 1 trial. BCX4430, is a RNA-dependent RNA polymerase (RdRp) inhibitor. Favipiravir (Earlier known as T-705) is a viral RNA polymerase inhibitor, with broad spectrum activity. The sudden fear of Ebola outbreak and its spread has now created a global alert condition. Provided the fact that there is no well tested treatment option available, scientists are debating the deployment of experimental drugs and vaccines in an attempt to curb the expanding number of cases. A clear case of emergency. One of the most well known tropical infections is "Malaria". As I have talked about before (Link), There are huge efforts behind the development of a good antimalarial drug. Its my belief that if someone develops a good drug, the developer is a candidate for award. The traditional drug of choice has been the quinine. More recent shift to Artemisinin showed great promise. But there is more to the story. In 1891, Paul Ehrlich discovered that Methylene blue was an antimalarial. However, it was the introduction of quinine into medicine that really set the stage. Use of quinine has been known in the east for more than 4 centuries. I found the following story in Malaria Journal, which am quoting. "According to this legend, an Indian with a high fever was lost in an Andean jungle. Thirsty, he drank from a pool of stagnant water and found that it tasted bitter. Realizing that the water had been contaminated by the surrounding quina-quina trees he thought he was poisoned Surprisingly, his fever soon abated, and he shared this accidental discovery with fellow villagers, who thereafter used extracts from the quina-quina bark to treat fever". Source. I have come across many other stories about discovery of cinchona tree bark as a potential antimalarial source. I however, am not sure of which is the actual story. Whatever the story be, Quinine was an instant hit for sure. Quinine is an alkaloid derived from the bark of the cinchona tree. The exact mechanism of its action is debated in science. It is believed that the quinine inhibits Heme polymerase which is involved in converting the heme to non toxic hemazoin during digestion by the parasite. 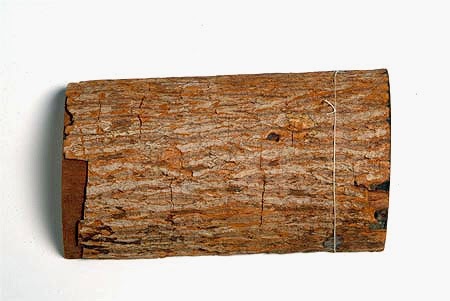 With widespread use of quinine and its derivatives, there appeared resistant strains. Chloroquine-resistant forms of Plasmodium falciparum malaria first appeared in Thailand in 1957. In such cases, tetracycline derivatives were given in combination with quinine. Additional options like Halofantrine, Atovaquone, Proguanil, Pyronaridine, Lumefantrinel etc have been explored. Halofantrine is a member of phenanthrene class, probably acts through inhibition of plasmpesin. However, recent studies have raised a concern of its potential cardiotoxic effect has limited its usefulness. Atovaquone is a member of naphthoquinone family. It is a broad spectrum anti-parasitic drug. Chemically it is hydroxy-1,4-naphthoquinone, It is a structural analog of protozoan ubiquinone and hence the broad action. It is effective against chloroquine-resistant P. falciparum. However, when used singly resistance appears easily. Hence it is always used in combination with proguanil. Proguanil inhibits dihydrofolate reductase. Pyronaridine is a benzonaphthyridine derivative, which inhibits glutathione-dependent haem degradation. Lumefantrinel is usually given with a second drug Artemether, which works through an unknown mechanism. It is postulated that it interferes with heme digestion. Spiroindolone is a new drug that is currently under clinical trial. Chemically it is spirotetrahydro–β-carboline. It attacks the plasma membrane Na-ATPase of the parasite. The results of phase II is been published. The results show good clearance rate. Fig 2: Structure of Artemesinin. Despite a series of chemicals in the pipeline, Artemesinin has been the drug of choice in current practice. The chemical is extracted from a plant Artemisia annua, has had the best properties described so far. 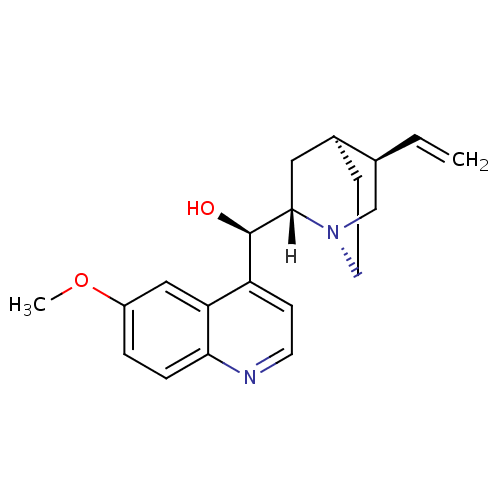 Artemesinin is a prodrug, its active form being dihydroartemisinin, and kills through free oxides. The action is good when given in combination with other drugs such as mefloquine, and monotherapy is currently discouraged. The emergence of Artemesinin resistance in South East Asia, has been a great concern. Currently, a laboratory test is not available for identifying Artemesinin resistance and hence the identification is clinical. Reduction of parasite load indicates susceptibility. A recent publication has shown that kelch protein is probably mutated in resistant types. Probably sequence of kelch13 gene may serve as a molecular marker. The need to develop a marker is important so as to control emergence and spread of resistance in regions outside South East Asia. The message set is clear. Plasmodium is gaining resistance and we need to find some better therapies. I have previously posted on C difficile infections (Link) as an important point of research especially in the context of noscomial infections. There is currently a lot of research devoted in trying to find a good defence. Faecal transplantation has been an attractive candidate. However, development of drugs and the best probiotic combination is also in research. Several antibiotics such as fidaxomicin, REP3123, oritavancin, NVB302 and nitazoxanide have been suggested as good candidates. 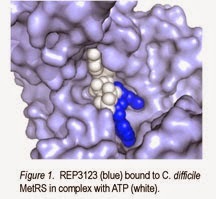 CRS3123 formerly known as REP3123 is a product of Crestone Inc. methionyl tRNA synthetase or MetRS is an important part of biosynthesis pathway in C difficile. Previously successful chemicals were shown to attack the MetRS and shown to be of potential benefit. CRS3123 is expected to be a narrow range antibiotic that actively attacks C difficile, sparing normal intestinal flora. NIAID has announced the progression to next phase of clinical trials. A more recent aspect of combating bacterial infections is "Phage therapy", which I have already discussed in detail in this blog (Link). In 2013, Dr Dr. Martha Clokie, from the University of Leicester's Department of Infection, Immunity and Infection, isolated and characterised 26 different phages. Considering that C difficile strains are much less variant a phage cocktail is expected to work really well. The media named these phages as "Clokie's Phages". The phages were licensed by AmpliPhi Biosciences.